Brand architecture is the way we organise, manage and go to market with brands. No brand strategy is complete without understanding and optimising the hierarchy, linkages, and roles of brands within a company’s portfolio. Brand architecture is client facing, so it doesn’t have to line up neatly with internal organisational structures. While there are many different models of designing brand architecture, this post will look at the three main approaches. There are many different models of designing brand architecture, though most of them have their roots in the seminal brand work of Dr David Aaker, who coined the terms House of Brands, Branded House and hybrid models. The right model is dependent on the company’s unique situation—most companies use a mixed approach to build and protect their businesses. Branded House is a monolithic structure where, from a branding standpoint, all business units, subsidiaries and divisions share the same brand. This model emphasises a single master brand—sometimes referred to as the umbrella or parent brand—that sits over the other brands within an organisation. This structure is a particularly good option when the products are in the same category or offer a similar set of benefits. Branded houses can consolidate investment behind one master brand. The basic concept is to gain economic leverage by investing at the master brand level and then using product names or descriptors to call out product-level attributes. Examples of companies using this framework include FedEx, GE, and Virgin. This model is a monolithic structure where, from a branding standpoint, all business units, subsidiaries and divisions share the same brand. Every product carries the name of the business and draws its identity almost entirely from the parent brand. There is one trademark followed by descriptive names for each product/service, one system (promise, personality, visual and verbal identity) used for all the products/services that the organisation develops. House of Brands—also called freestanding or portfolio brand—emphasise a single strong ‘master brand’ that sits over a portfolio of brands, each with a unique brand positioning tailored to a particular market segment. With this model, individual products or companies have their names, personalities, audiences—they can focus on what they each do best and operate as individual companies in their specialist areas. The parent company may even have multiple competing brands within its portfolio. This model is used by Unilever, Wrigley and Proctor & Gamble. While these corporations are huge, they’re not household names, and only relevant to senior employees and investors. This model makes the main corporate brand much less vulnerable to major scandal or negative brand associations that might affect one subsidiary brand. Building multiple brands is very resource intensive. It takes more time, money and energy. 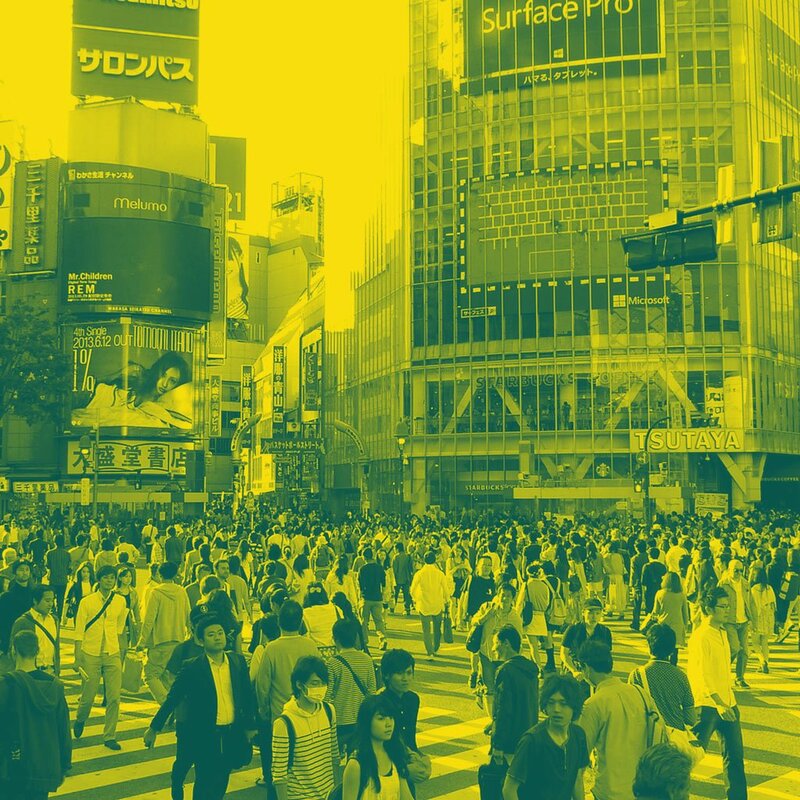 Subsidiaries don’t benefit from any shared brand equity—therefore a substantial marketing budget is required to build awareness of each brand. Finally, we have the so-called hybrid models which fall somewhere in the middle. Many types of this model exist such as endorsed brand and sub-brand models. Two of the biggest brands which employ a sub-brand architecture are Apple and Microsoft. Microsoft targets many different customers with different sub-brands with different names, colours, types of imagery, logos, promises, positions and personality traits. Some brands were created in-house, but many—like Visio—were acquired. Apple has a smaller portfolio of products, a more focused base of target customers, and careful naming strategies. Apple even incorporates certain master brand architecture traits by only having only one logo, one colour palette, one font, and one layout style. Sub-brands can have their own specific brand identities, but must always strengthen and echo the values and message of the original parent brand. All of your brands, including sub-brands, make up your brand family. The master brand most often acts as a key driver. In some cases, both the master brand and sub-brands are considered co-drivers, but the sub-brand is never stronger than the master brand. Good examples are Kellogg’s and Marriot. This structure is made up of individual and distinct product brands, which are linked together by an endorsing parent brand. 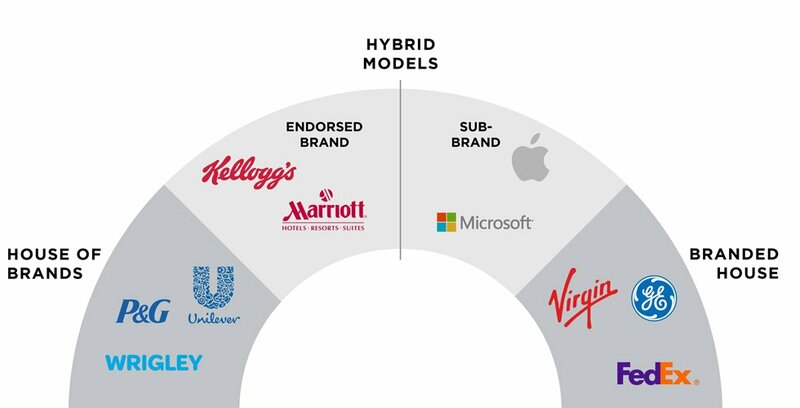 Although the product brands have their own identities, there is a clear connection between them and the parent brand—both the parent brand and its divisions have robust and unique market presences, and the synergy between them is often mutually beneficial—the parent brand endorses the product with its reputation, the endorsing parent brand plays a supportive and linking role. Brand and marketing consultancy Equibrand provides a great brand model template. Click here to download it.